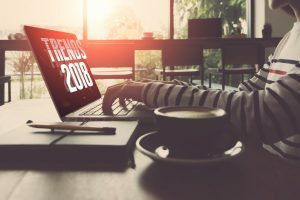 We’re already several months into 2018, and many web design trends have already begun to appear. Car dealership web design is poised to continue its ongoing transformation. Start planning now to be ready for these shifts, and you’ll watch your bounce rates drop, your traffic climb, and your revenue increase. Here are some of the car dealership web design trends you can expect in 2018 that, if embraced, will make your dealership website a stunning example of where quality, beautiful web design is headed in the automotive industry. Internet users are savvier than ever, and when they go looking to make a purchase they want the experience to be smooth, invisible, and intuitive. Even if you’re not selling cars online, your customers are researching there. Car dealership web design has gotten good at providing the ability to search through inventory, but the experience, at times, can still be overwhelming and counter-intuitive to users. This year, ensure users find your website clear, intuitive, and robust, without being bogged down with unnecessary features. As the world learned what was necessary for mobile browsing, a trend developed for flat sites. These were a lot faster to load, and though less attractive, made up for it in handheld functionality. Today, however, as mobile phones become more powerful, the conversation is switching back to drop shadows and a sense of depth. The reason is that it just looks better. The human eye much prefers a sense of depth when viewing a website. The only reason we moved away was to give function its time to shine. Now that we have the capability to do both—depth is coming back. Design trends are switching to “mobile first.” In 2018, your website design should plan for a person searching on a screen that fits in the hand. Typography was always important—it’s a powerful part of every visual designer’s toolkit for its ability to evoke tone and emotion, and provide information. Devices have a sharp resolution, meaning subtle nuances are coming back to online fonts. Most browsers support hand-made typefaces ready for CSS. This means that current technologies are poising 2018 to be the year of custom fonts. As you scroll, the menu shrinks and stays at the top of the screen, making navigation just a click away. This technology has grown in prevalence the last few years, and in 2018, it just may become an industry norm. At the very least, it will trend high for its ease of use and contribution to customer satisfaction. When it comes to browsing your site, you want a visitor to feel completely in control with as few clicks as possible. These are a few of the largest trends you can expect to see in car dealership web design moving forward. Prepare your website with these trends in mind and you’ll be able to stand apart from your competitors.